Guide trips are now out of a new 2019 Nitro Z-20 with a new v-8 Mercury Pro XS 250. More room for anglers to boat those bigger bass! We are now able to book guided trips with three adult anglers. Previously, we have been limited to just 2 adults or 1 adult and 2 youths. 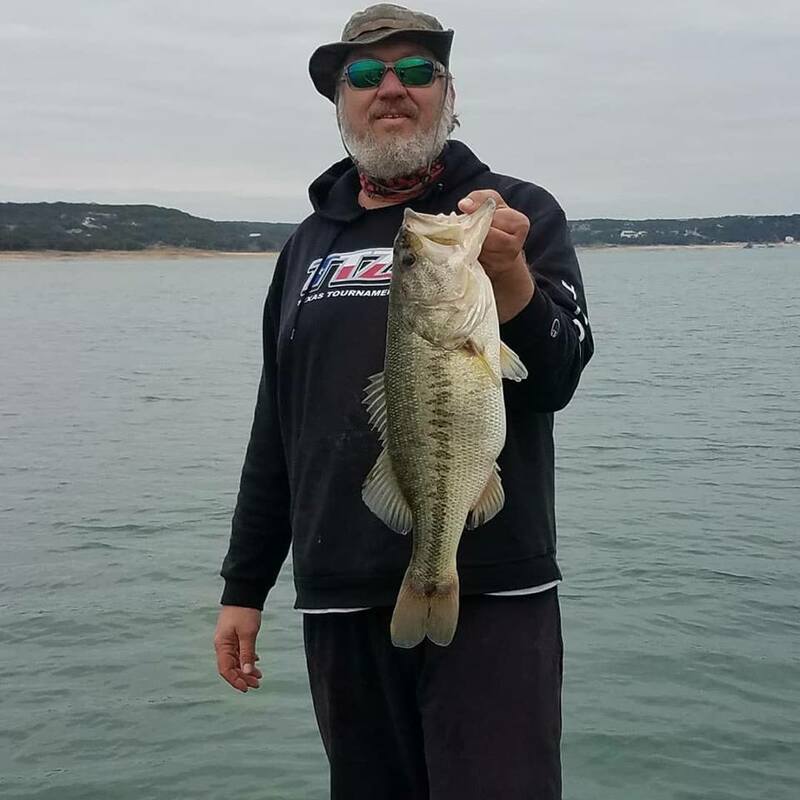 Central Texas Fishing Guide provides all the fishing gear, equipment and tackle necessary for a successful trip. You will be using high quality, tournament grade equipment made by Shimano, Dobyns, JG Custom Rods, and Texas based All-Star. Snacks, bottled water and soft drinks will also be provided. Guide trips will out of a new 2019 Nitro Z-20 with a V-8 Mercury 250. There is plenty of room to fish up to 3 adult anglers so you can bring a friend or family member to join in on the fishing fun! Our rates for a guided trip are for up to two anglers. Add $50 if you are booking a trip with three anglers. You don’t need to bring any fishing gear! We use strictly artificial baits and lures. All largemouth bass will be released after being caught. Please make sure you have a valid Texas Fishing License. Contact Randal Frisbie with Central Texas Fishing Guide to confirm the date, time and rate for the guided fishing trip. Full payments can be made prior to the trip via PayPal. Please download and fill out the Pre-Trip Questionnaire prior to the scheduled trip and email it to Info@CenTxFishingGuide.com. This will help Randal prepare a customized trip specific to your goals! • 1/2 day (4 hours) $225 – Morning trips start at sunrise. Afternoon trips begin around 1 pm. Once your trip has been confirmed, a deposit in the amount of $100 is needed to secure the date. Deposits can be made via PayPal to secure the trip. Trips may be cancelled or rescheduled within 48 hours by contacting Randal at 713-732-2876. If a cancellation occurs 48 hours before the scheduled guide trip, the deposit will go towards the rescheduled guide trip. Late cancellations or no-shows will forfeit their deposit. For cancellations due to severe weather, the deposit will go towards the rescheduled guide trip.